Now, 15 years later, Nina, a struggling actress in New York City, returns to Hoffman when her father is paroled and insists on re-settling there. Not only does Dr. Avery want to repair his relationships with his sons and meet his grandchildren, he claims he wants to find out who killed his wife. But neither Nina's brother Patrick, a successful investment banker with a wife and twin sons, nor Jimmy, a recovering drug addict who has adopted a new family, can bear to acknowledge their father's return. Then, as suddenly as before, another act of violence overturns the Averys' lives. No longer certain if she can trust her family, her neighbors, or her old friends, Nina finds she can rely only on herself and a surprising new ally in her life as she searches for the truth behind crimes past and present. If she digs deep down into the secrets of her family's and her neighbors' lives she stands a chance of catching a killer before she becomes his next victim. 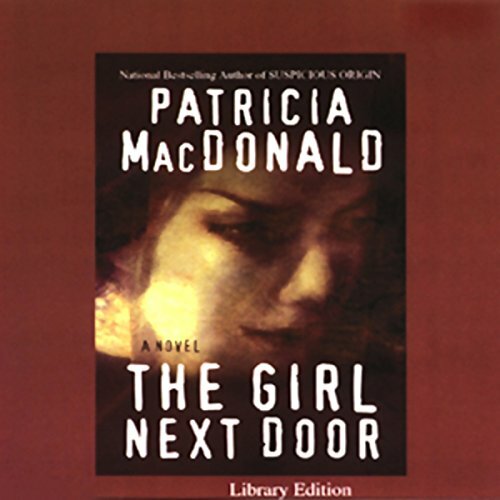 With psychologically perceptive characterizations, emotional realism, and a gripping story line, The Girl Next Door exposes the dark impulses and fierce passions that can rule seemingly ordinary people and showcases Patricia MacDonald at the height of her celebrated powers. Would you listen to The Girl Next Door again? Why? Kept me on the edge! Almost every chapter added another twist! And the reader, Bernadette is AWESOME! Love her style! Which character – as performed by Bernadette Dunne – was your favorite? Jimmy's return to his addiction! This book won me over to Patricia! I just purchased another one!